Can new high ISO settings help photographers beat their fear of noise in the dark? 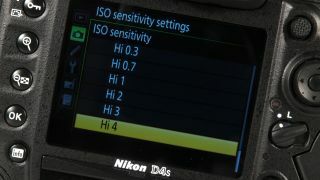 A lot of fuss is made by camera manufacturers about how they are boldly increasing ISO levels. It seems that every camera launched in the last five years has an 'amazing' new processor, significantly larger pixels and more super-sophisticated noise reduction algorithms. And of course, each of these titan developments contributes to 'ground-breaking' high ISO settings and 'lower-than-ever-before' noise levels. I often wonder how much this fuss reflects the difficulties camera engineers experience in creating these settings, rather than the desire, enthusiasm or willingness of most photographers to take pictures in low light situations. I know that many photographers have a long-standing fear of strange (image) noises in the dark and that there is a general aversion, for 'quality purposes', to using ISO settings above 800. Image noise is often viewed by enthusiasts and professionals alike as quality-enemy number one, and to be avoided at all costs. How many of us, working in the heat of the moment, will risk a longer shutter speed and the infinitely more destructive effect of resolution-killing camera shake, rather than turn up the ISO to get a shot in low light or with a small aperture? If we are honest with ourselves, and if we were to count the shots we've lost to camera or subject movement, we'd know the truth. The shame is that high ISO performance is one of the last areas in which genuinely useful improvements to our photographic lives can be made. Although I very often wish all cameras were equipped with better low sensitivity settings (even ISO 100 would be nice in some cases), it is also a wonderful thing to crank up to ISO 6400 and be able to shoot by the orange glow of street lamps, by the romantic light of the moon or simply with the soft window light of an overcast day, without resorting to bolting the camera to a tripod. It is fair to lay the praise at Nikon's door for the current capacity of most good cameras to operate at ISO 3200 without loss of all sense of detail and colour, but now Sony is positioning itself as a high ISO brand as well. The historically noisier-than-most company has just announced another version of the Sony A7, the A7s, which will feature a maximum ISO setting of 409,600 - just like the Nikon D4S. It sounds slightly ridiculous, I know, and we should probably expect that setting to have a last-resort flavour to it, but even two stops down from that incredible peak we'll have ISO 102,150. That setting may be usable and, if so, will be very useful. High ISO settings are not necessarily designed just for shooting black cats in coal cellars during a power cut. They allow us the convenience of being able to take pictures where the sun don't shine – without camera shake, with mid-range apertures that optimise optical quality, with tiny apertures that bring depth-of-field from the end of your nose to infinity – and all without the use of a tripod. I think, in general, we don't make enough use of high ISO settings and that fear makes us miss out on the chance to shoot when the light is faint but atmospheric. So many of us assume, without having tried, that noise will render our images unusable when we crank the ISO above 3200. These aren't the days of film – progress has been made. That progress has brought genuine convenience and an ability to work where before we could only look. New opportunities come with new features, and I look forward to seeing what the A7s can help us all to achieve.